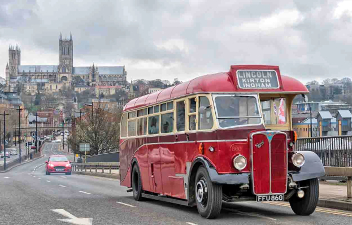 Many of the buses and cars from our collection, and visiting vehicles, on the road and offering rides - includes some 'City Tour' departures around Lincoln's historic 'Cathedral Quarter' in the afternoon and again at 5 pm. Admission to this event is £ 8 per adult (includes programme and bus schedule), Accompanied children / young people under 18 free of charge. 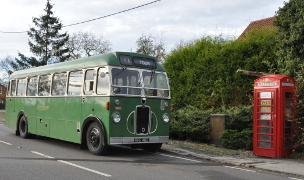 Buses, both from the Museum collection and visiting, will provide a regular, free, bus service to and from Lincoln City Centre, a 'park and ride' service and 'country bus services' and 'excursions'. A programme including bus timetable / vehicle schedule is included as part of the admission price. The buses confirmed as scheduled for 'service' are listed here. This service will run from 10.00 am through the day, every 10 - 15 minutes. The last departure back to the Park & Ride will be at 5.05 pm. 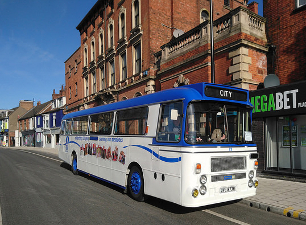 The 5.00 pm 'City Tour' bus will also continue to Teal Park (arriving approx 6 pm) after the tour. The City Centre service will run every 15 minutes, departing from the bus stop opposite Lincoln Railway Station, outside the former 'Barbican Hotel' on St Mary's Street (pictured left) and close to Lincoln's new bus station. Map here. The first departure from St Mary's Street will be at 10.10 am (to allow connections from Stagecoach bus 18 from uphill Lincoln, due at Lincoln Bus Station at 10.02) then every 15 minutes until 4.25 with an additional journey at 4.55 pm. Road Transport Museum - depart 10.35 am. then every 20 minutes until 4.15 pm. Whisby, Natural World Centre (outside gates) 10.45 am. then every 20 minutes until 4.25 pm. Doddington Telephone Box (for Doddington Hall) 10.55 am. then every 20 minutes until 4.35 pm. Road Transport Museum - arrive 11.05 am. then every 20 minutes until 4.45 pm. 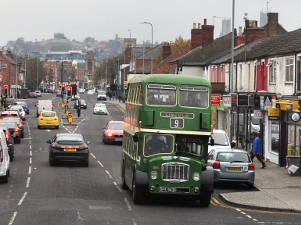 The last bus will connect with the 5.00 pm 'City Tour' and Park & Ride departures from the Museum. The last bus FROM Lincoln with a connection for Whisby and Doddington will be the 3.40 pm from Lincoln St Mary's Street. Additional 'tours and excursions' will operate on the day - more information in the event programme. 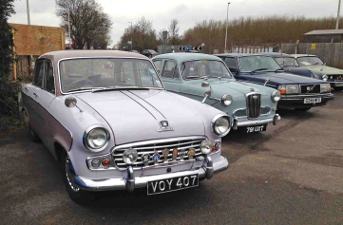 Some of the cars from the Museum collection are intended to be on the road and will be offering rides between 12 noon and 4 pm. The cars we intend to be on the road are listed here. 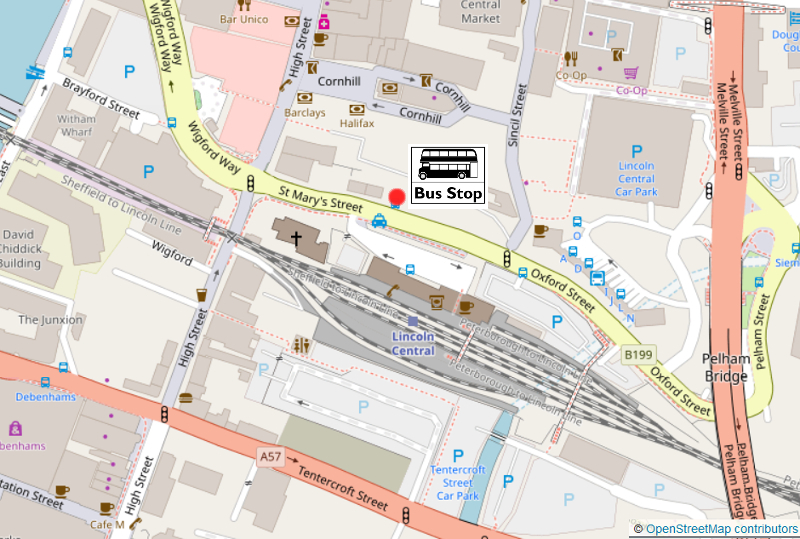 Return bus from the Museum bus terminus will depart at 3.05 pm intended to connect at Newark Bus Station with 3.55 pm bus to Nottingham, then to Newark Northgate Station for the 4.09 pm train to Kings Cross and 4.27 pm train to Leeds. Train times are supplied to the best information available, but please check with train operator / national rail enquiries. If you are bringing a bus / coach and are able to offer travel to the event, either on a free or commercial basis, please get in touch and we will add details. 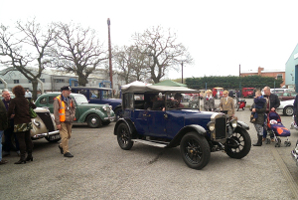 All 'bus services' and car rides are free but we would strongly encourage visitors to purchase a programme which helps to cover the event's operating costs as well as helping to restore and maintain the vehicles in use. These events could not continue to run without the financial support of our visitors to whom we are grateful. All funds raised will go towards the running of our open days and upkeep of the Museum and vehicles. 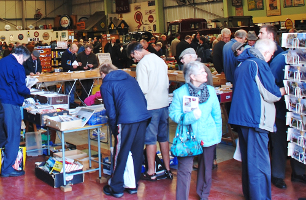 We will have a number of visiitng stalls selling mainly a range of transport related items including books, photographs, models and a range of items including badges and ticket machines. We would respectfully ask visitors to use either local bus services or one of our bus services from either Lincoln City Centre or the Teal Park 'park & ride' to get to the Museum. We would ask visitors not to obstruct the streets near to the Museum with parked cars, as this makes it difficult for us to operate bus services, can be dangerous for pedestrians, and may threaten the future of our events. Limited car parking facilities will be provided at the Museum for blue badge (disabled driver) holders only. Visit Lincoln and Visit Lincolnshire have more about what our City and County have to offer and an accommodation finder. PLEASE NOTE - We will not be able respond to e-mails or social media during the event - if you have an urgent enquiry on the day please telephone. Some videos of past events on YouTube can be seen here.